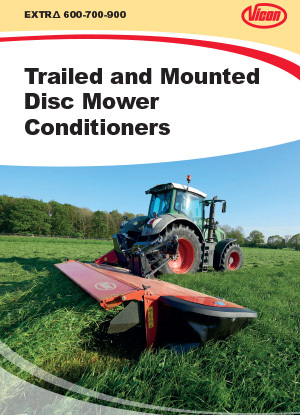 Vicon have an extensive range of mounted mower options, which means there are options available for virtually any user in any mowing application. 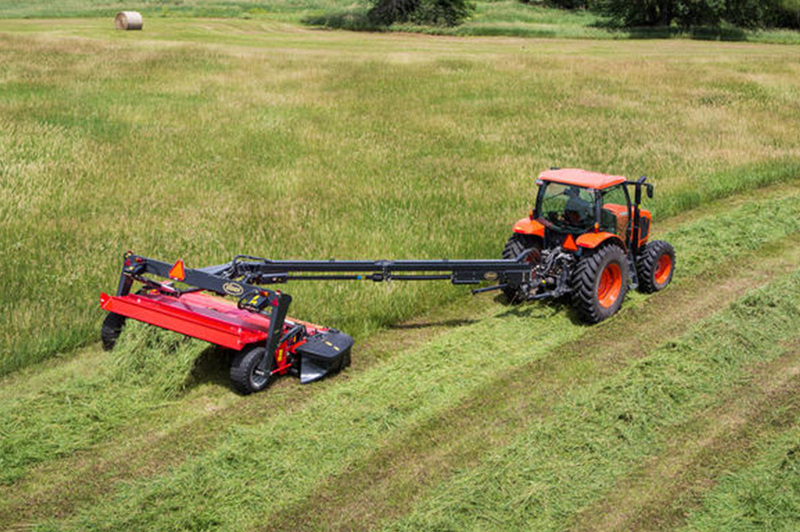 Front mower options include the standard Extra F and XF with a cutting width of up to 3.2m available with a swath former for narrow swathing and wide spreading. Or choose the Extra FT or FR if you require a front mounted mower conditioner. With rear mounted options of conventional disc mowers with a working width as narrow as 1.7m, to the 10.2m ‘butterfly’ combination mower conditioners complete with the brand new award winning QuattroLink suspension system, you will find something suited for your needs. Vicon’s EXTRA 900 centre pivot or left hand drawbar series mower conditioners have been fine-tuned when it comes to aspects such as ease of operation, cutting quality and performance. With an array of different configurations, including a choice of either virtually maintenance free SemiSwing steel tine conditioning, or gentle full width chevron roller conditioning and FlipOver wide spreading equipment, the EXTRA 900 series can be tailored to perform in any situation. Vicon offers 3 versions of compact tedders with low maintenance requirements and a working-width ranging from 4.6m to 5.2m. Maintenance-friendly features include 500mm rotor plates and an easy-to-maintain gearbox. 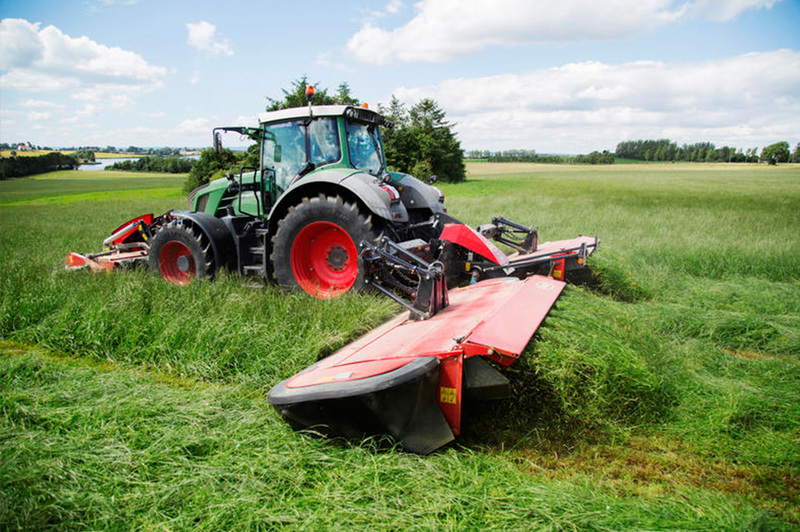 Or choose between the Vicon Fanex 604 and 804 which are purpose built for hay making. 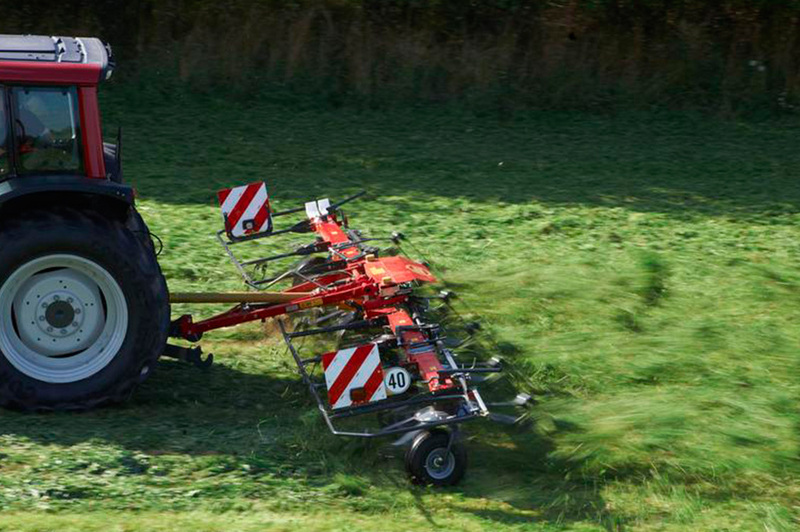 The small rotors are especially designed for optimized performance while producing dry hay. 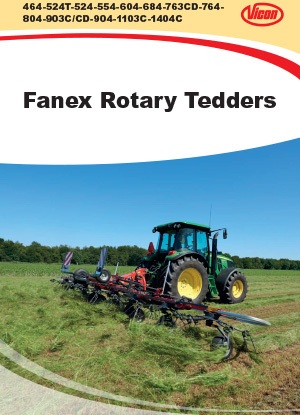 The Fanex 554, 684, 764 and 904 are designed to perform perfectly in all crop conditions and feature a heavy duty fully closed headstock meaning this machine will fit perfectly into the operation of professional farmers, looking for a strong, effective, and versatile tedder. Finally you have the option of the Carrier Frame Tedders specifically designed for user who do a lot of road transport. These tedders include transport running gears with all operations run hydraulically, and can be controlled from the tractor cab. With up to a 13.3m working width, again Vicon can supply the tool to suit your needs.